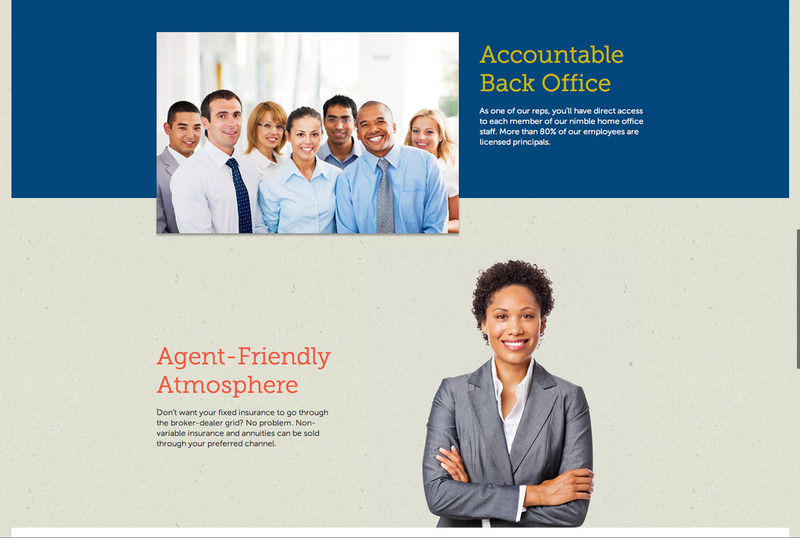 Here is one of our latest web design projects. 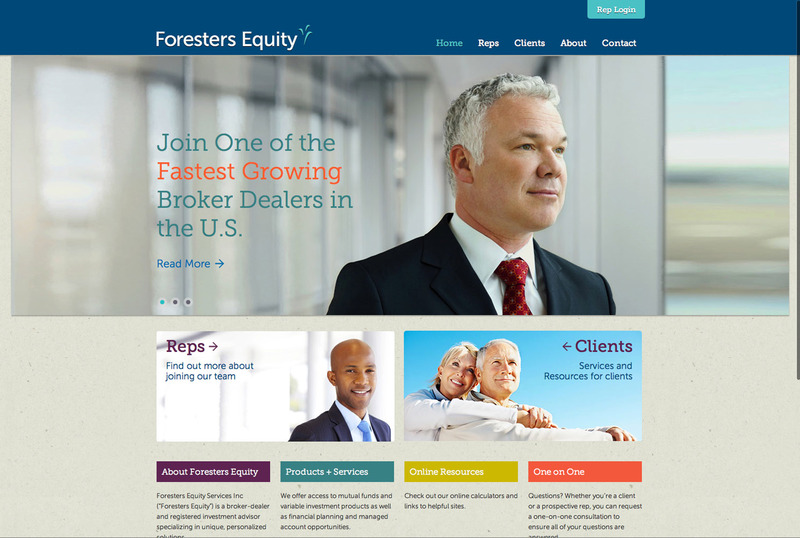 Foresters Equity was in need of a newer site. The old site hadn’t been updated for awhile and ran on an older cold fusion server. 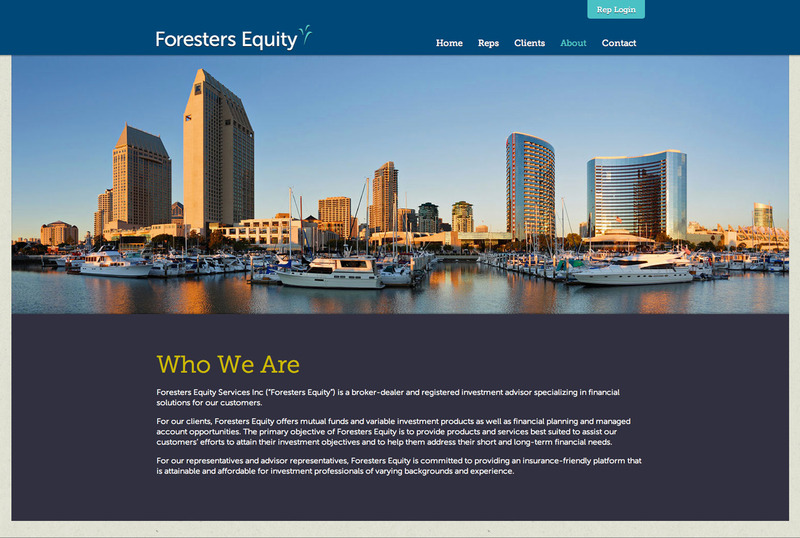 They wanted to update their brand look to a more modern, friendly style that also coordinated with their parent company. We suggested WordPress, since it offers a robust platform for both content generation as well as an easy to use interface for client updates. 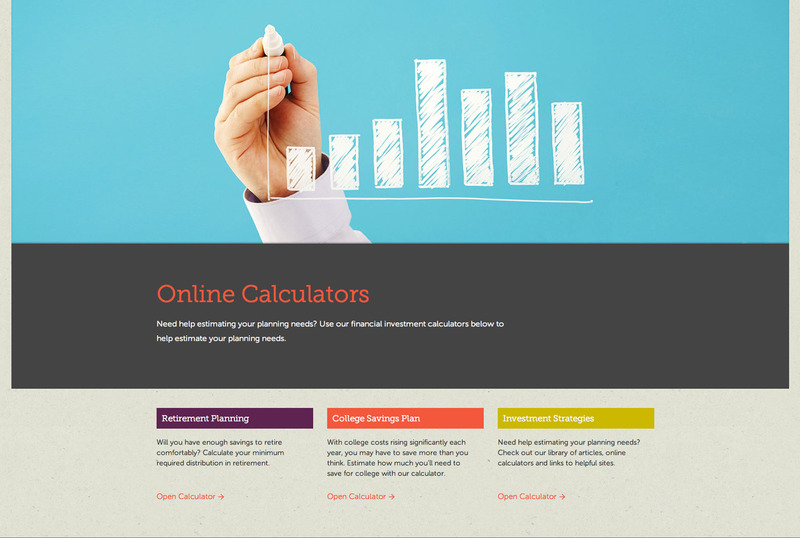 The new site is fully responsive to smart phones, tablets, and the desktop alike. 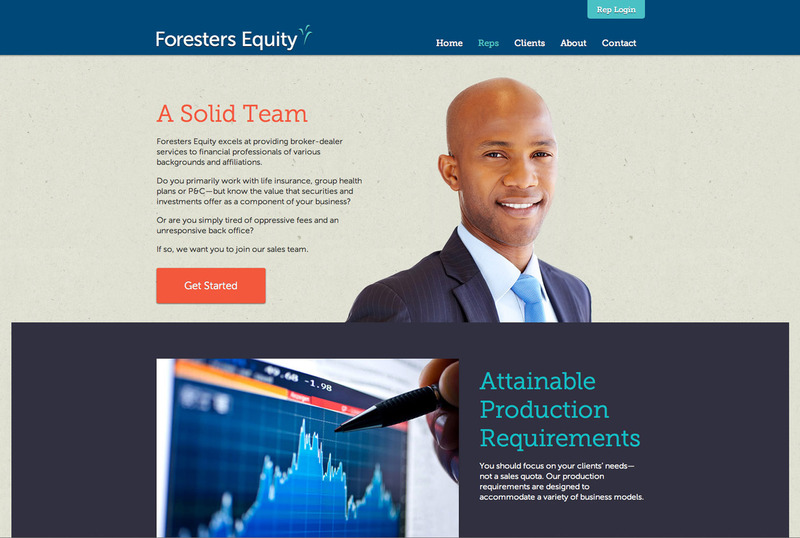 Like everything we do, the site was built completely custom for what the client needed. 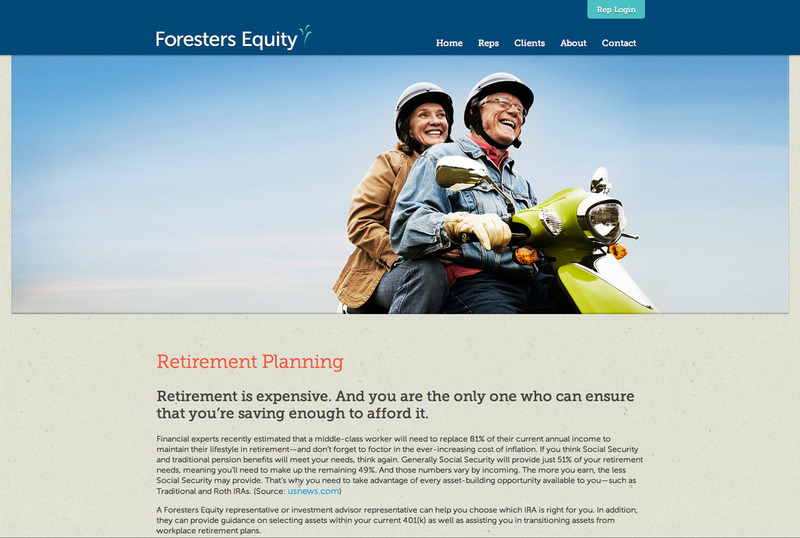 They are very happy with the new look and the speed at which it can now be updated.